It is a well-known fact that, if no works are undertaken, a property will depreciate continuously until it doesn’t add value to the land anymore. In fact, after enough time, an old building will end up reducing the value of the land altogether. In order to counteract this house depreciation trend, it is a good idea to update your home every now and again so as to add value to it. According to a study by Nationwide, adding either a bathroom or bedroom through a small loft conversion can add over 20% to a property’s price. We’ll go through some small loft conversion ideas and provide a few useful tips and tricks to help you get the most out of your attic adaptation. Naturally, the first question which one must pose when considering small loft conversion ideas is whether or not such a project can even realistically be undertaken in the first place. If you live in a home which has been designated by an official body as a historic house, or if you live in a Conservation Area which has been deemed worthy of preservation due to its distinct architectural or historical heritage, you will need to seek and obtain special permission to redevelop your loft. If your house doesn’t fall into any of the above categories, you don’t need to obtain planning permission for your loft conversion. One issue which can halt your small loft conversion project in its tracks is lack of space. Of course, we are going to concern ourselves with maximising space during an enterprise such as this, however, some attics are just too small and cannot be repurposed. Height is what you should pay most attention to; 2.2 meters, measured from the floor to the uppermost ceiling joist, is the minimum height needed for a successful small loft conversion. 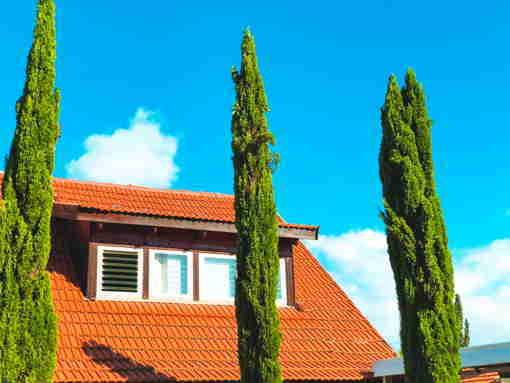 Another aspect which deserves attention is the kind of roof your attic is under. The type of roofing used is an important detail to keep in mind as some varieties will require additional structural support. If your roof uses trusses for support, you will probably need to replace these in order to provide enough support for your new loft conversion. What is a Dormer Loft Conversion and is it Right for You? We’ve already established that you can undertake a small loft conversion only if your attic is at least 2.2 meters tall. If your attic is just tall enough, a loft conversion with low headroom can benefit tremendously from the addition of one or more dormers. A dormer is a roofed construction which is erected vertically from a sloping roof. This structure, which typically contains a window, is constructed in order to provide the owners of a loft with more usable space. A dormer loft conversion is perfect for those working with small attic spaces as the addition of such a structure adds a lot of room. This extra space can be used in a variety of ways. 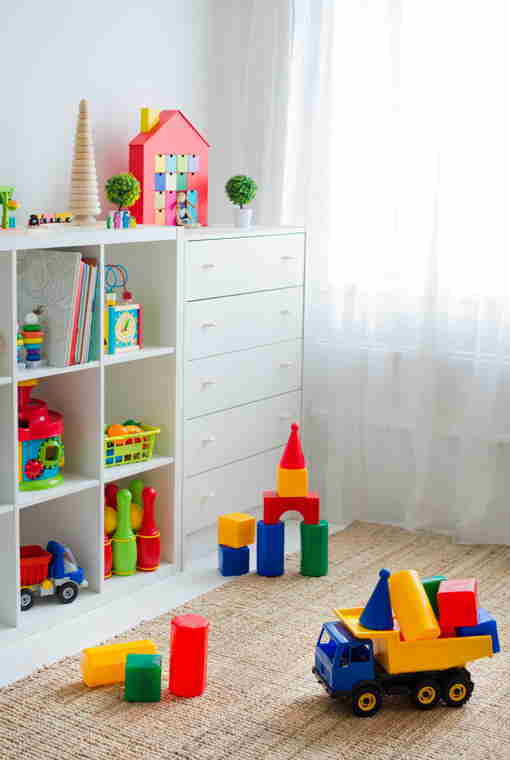 For example, you could add a small en-suite bathroom to the kid’s bedroom you’ve set up in the loft. One or more dormer windows can work miracles for a loft conversion with low headroom as the vertical wall constructed from the bottom of your sloping roof will create an area with more height. Furthermore, the extra light coming in will make the entire space look bigger. Two other types of loft conversions are popular: the hip to gabble and the mansard. The hip to gabble loft conversion is used in houses which feature a sloping roof side. The slope of the hipped side of the roof is transformed into a flat gable end, allowing for the extra space to be used in various ways. This is a great way of maximising the space in your attic through a small loft conversion. The mansard is a type of loft conversion which features a flat roof with an inwardly sloping back wall; the angle of the slope is usually 72 degrees. This is the best option for small attic conversions since it adds the most space to your attic. However, it can get very expensive to construct a mansard as it requires you to significantly modify your house’s structure. If you go for any of these two options, you should know that both the hip to gable and mansard typically require planning permission. 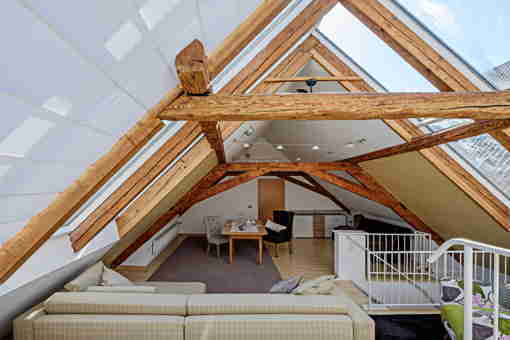 You’d do well to keep the following notions in mind when converting your loft; any of these can act as the point of departure for your own personalised attic conversion project. As you become more and more aware of the varied possibilities available to someone wishing to convert their loft, you will start mixing and matching these various plans, designs, and patterns in order to come up with your own amalgamation of loft conversion ideas. A compact office is a great conversion idea for small lofts. 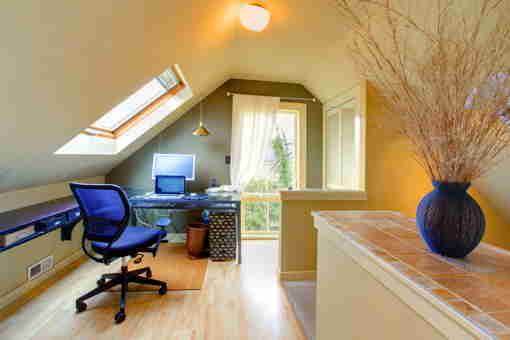 If you don’t have a dedicated space in your house where you can sit down and have some peace and quiet to focus on whatever work you’re bringing home, you should consider converting your loft into a small home office. This is a great idea especially for those who have children. We know they can get pretty noisy at times and it can be tough to focus. A home office can add to your property’s value as well as its appeal; professionals who work from home will be looking for dedicated work spaces such as this. For those of you who like having people over, the addition of a small guest bedroom where your abandoned attic used to be is a no-brainer. This will not only allow your guests to have a more comfortable space when they spend the night, it will also add to the value of your home; two bedrooms are always better than one when it comes to selling a house. One of the best loft conversion ideas for couples or sharers living in properties with only one bathroom. With an extra lavatory where your attic used to be you won’t ever need to wait to use the toilet. The added value which this brings to a property is nothing to scoff at either. Similar to the home office, this small loft conversion could provide you with some much needed quiet time while the kids play upstairs. It will add value to your home and will appeal to parents should you decide to market the house in the future. Now something for the older kids, and by older kids I mean childlike adults. If you’ve always dreamed of having your own game room, why not take this chance to convert your loft into one. Featuring a ping pong or pool table, this is a great investment as it adds a fun space to your home which makes it more marketable. Small loft conversion ideas don’t come much grander than this, do they? Granted, you probably won’t be able to fit a full-size spa area in the small space in your attic. However, you can definitely fit either a sauna or steam room in there with a small shower outside. What better way to relax and unwind after a long day at the office than ridding your body of toxins while enjoying all of the other wellness benefits of the sauna. Installing a steam room or sauna in your loft will cost anywhere between £1,500 and £50,000, but it will add a lot of value to your property should you sell it in the future. A small indoor gym will save you loads on gym membership fees. It’s also much more comfortable to have a home gym, and this will probably appeal to buyers when and if you decide to market the property. As far as loft conversion ideas for small lofts go, an indoor garden is probably the most versatile of the bunch. You can use it as a place to relax in the midst of natural beauty after a long day at the office. It can contain either decorative plants or actual crops for those wanting to eat their own produce. 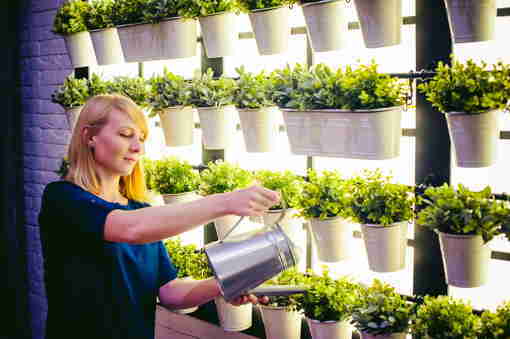 If you live in a highly urbanised area, a loft which has been converted into an indoor garden can provide a much-needed natural refuge for relaxation; it will certainly add value to your property as such spots are at a premium and are highly sought after. 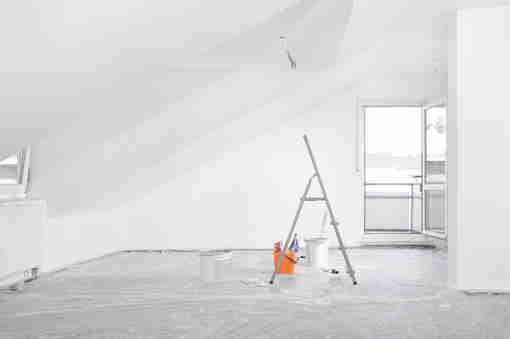 If you do decide to convert your loft, make sure you take all the necessary precautions and obtain all the permits needed beforehand. A small loft conversion will add to the value of your property should you decide to sell it in the future. However, perhaps more significantly, it will create a personalised, cosy space where an unusable, unattractive one used to be.